our other two campervan companions had to head north for their flight home so they dumped sharon and i on the roadside in wanganui, on the southwest coast of the north island. we hitchhiked to the south island and rented a two person campervan. 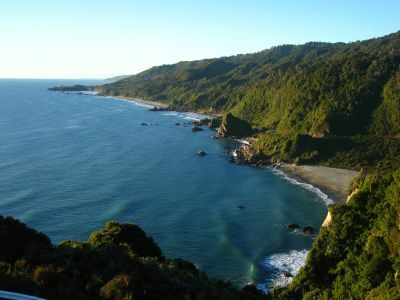 we drove to the west coast of the south island and explored it, from top to bottom. 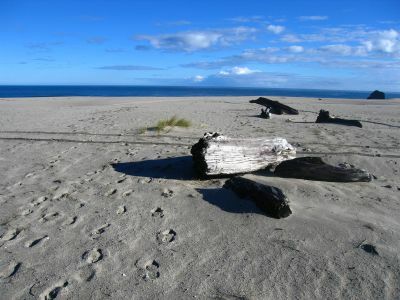 this is near the top, the coast just outside greymouth. 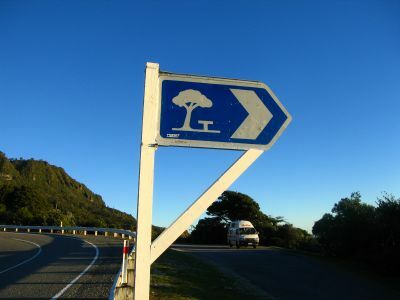 i took this picture because this sign is a campervan rider's best friend - it means you can camp at this rest stop overnight for free! that's our campervan in the background. look at the first picture again; that was the view from our bed...a million dollar view for absolutely nothing...gotta love it. sharon and i posing with our van as the sun goes down. they call these the pancake rocks. 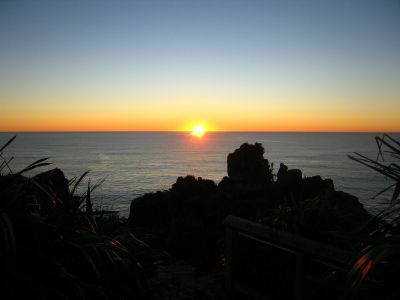 the sun sets on the south island of new zealand. 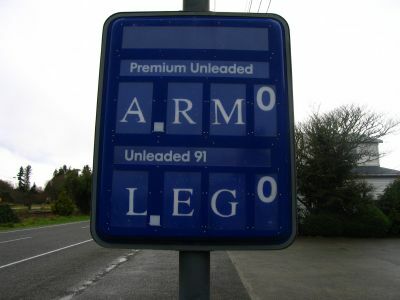 they have a great sense of humor in new zealand, but, unfortunately, this sign wasn't too much of an exaggeration of their petrol costs. 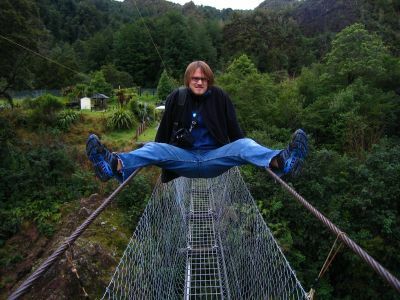 i don't have enough crotch-shots on my website. i'll be sure to put more. this is the latest edition of the series taken on the swingbridge over boller canyon. petter? nope, just some other van that could use a tune-up. 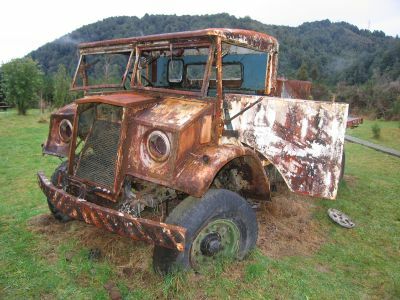 we were walking around an old mining area and found this carcass of a mining truck. one night we drove aimlessly and found an incredible campsite right off the beach. 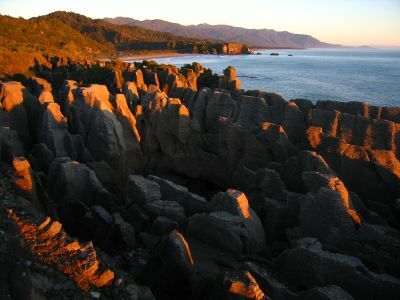 this is in karamea at the northwestern side of the south island. 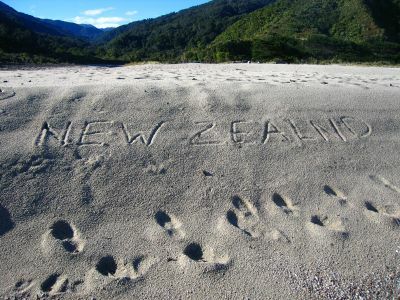 two truths in this world: everyone loves new zealand but not everyone can spell it.